I have spent the most part of a year really honing in on clean eating and fitness goals. I definitely feel much better than I did in my twenties and thirties so maintaining the motivation to keep up a healthy lifestyle is something I am keen to do. I’ve found that building in small key sustainable habits will help reap health benefits, things take time but it’s good to start the day right and that for me involves eating a good breakfast. It’s often described as the most important meal of the day, providing sustenance and energy. I genuinely love Breakfast time and one of my favourite things ever is hotel breakfasts when on holiday – I really need to book a holiday soon! If you’re a parent like me you’ll know it’s incredibly tricky to sit down and eat when you have the demands of children to attend to. So many people skip or miss breakfast daily because we are in a rush too head out. 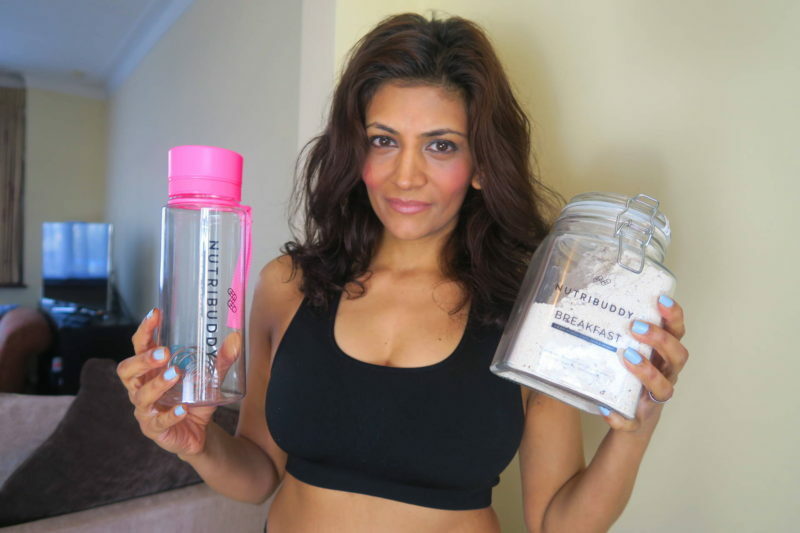 Lately I have introduced a new product into my diet, something which has helped kick start my metabolism and gives me the energy I need without feeling the dreaded bloat. 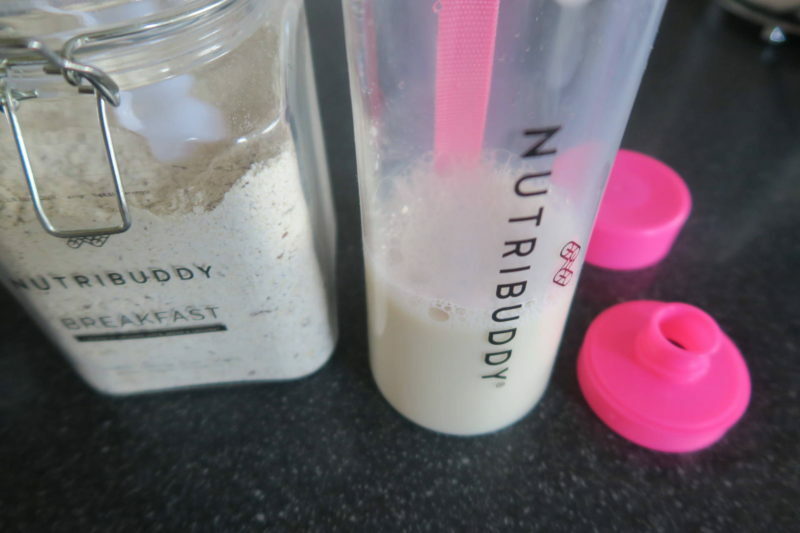 A few week’s ago the fabulous team at Nutribuddy contacted me and kindly let me select a breakfast shake product from their popular range in return for an honest first impressions review. I had read reviews and thought it was definitely something I wanted to try. The goods arrived in secure packaging, a glass jar, a shaker bottle and a scoop. As far as first impressions go, the moment I unwrapped the glass clip-top jar I was in love! it’s eye catching and I’m obviously a total sucker for packaging. I have no shame in saying that! I’ve had a few friends comment on what’s inside the jar and there begins my explanation. I’ve been drinking the shake now for the past 14 days. I opted for vanilla because I wanted something with a sweetness to it. All the products are however gluten-free, sugar free and vegan. The two other flavours available are Naked and Chocolate. The blend of organic oats, seeds and coconut is really nutritious and is only 121 calories per serving so great for people who are also wanting to lose weight too. 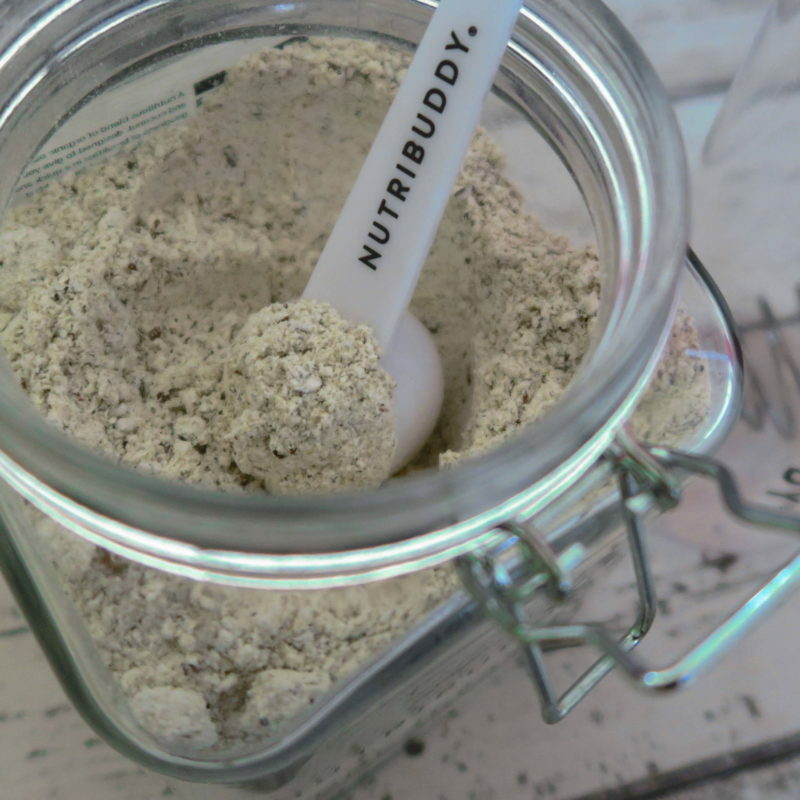 All you have to do is take 3 scoops of the blend and put into a Nutribuddy shaker. Add 300-400ml of milk or a milk substitute. I alternate and use almond milk on one day and then whole milk on another day and shake away. Inside the bottle is a metal shaker ball to help the mixing process. The shakers are BPA free and dishwasher safe. You can always add fruit so for example I’ve used my Nutribullet blender and added a few blueberries, raspberries to the mix. Basically anything to make the shake to your liking. On the mornings that I have more time I pour into a bowl and top with fruit, nuts and seeds. This is one healthy breakfast option which I genuinely feel will help a lot of people who really want to have something nutritious on the go and trust me it’s quick. Especially convenient for a mum like me as I find time is short in the morning trying to get Jay ready for Pre-school. I really don’t like leaving the house on an empty tummy. A 14 day supply costs £14.99 and comes in that gorgeous glass jar. Refill blend packs are available so that you don’t have to buy the jar each time. 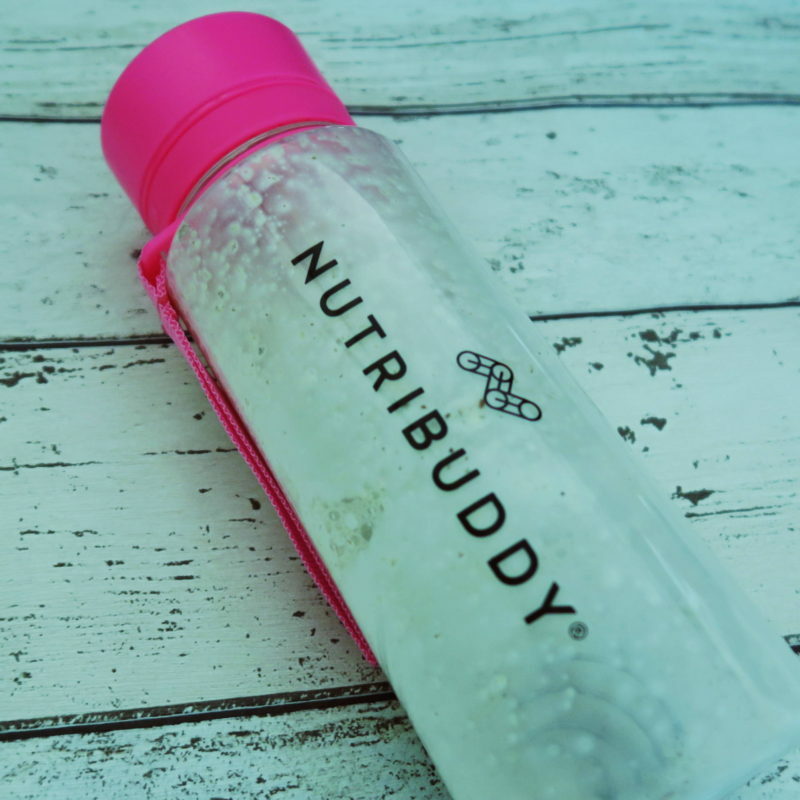 You also have the option to add a shaker with your order starting from £7.99, these come in pink, red or black. There are subscription deals worth considering if you become a fan of the product. I do drink protein shakes but this is different of course and really quick to make. 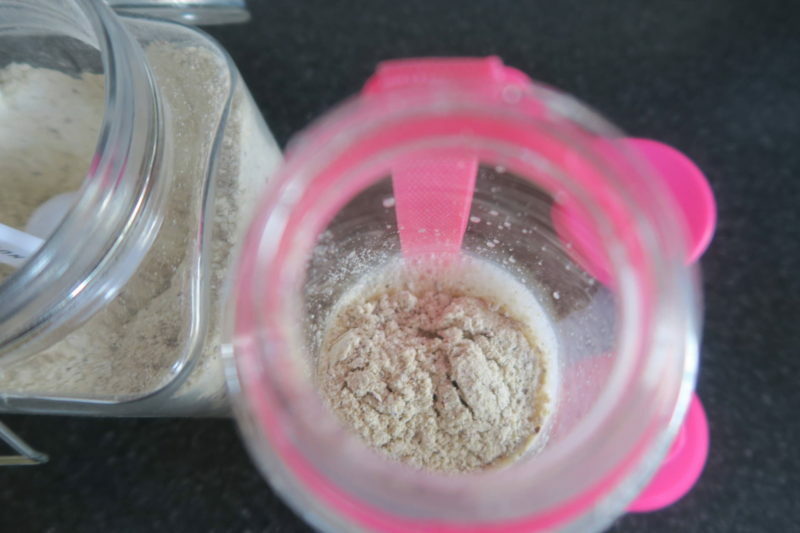 It’s also good at helping to curb my sugar cravings (not to mention my tummy rumbling) so I will definitely be carrying on with using the shakes and very keen to try the other flavours too. A couple of times I’ve gone and had a shake in the evening because they taste really good. I have number of friends who are currently pregnant and also some that are breastfeeding so should mention that this shake is safe to drink as it’s high in fibre and nutrients. I didn’t think I would be into drinking shakes for breakfast but I have surprised myself and really wanted to share this with others in the hope that it will help you too. Shake up your wake up – time to try something different? Head over to my Instagram for an exclusive discount code. 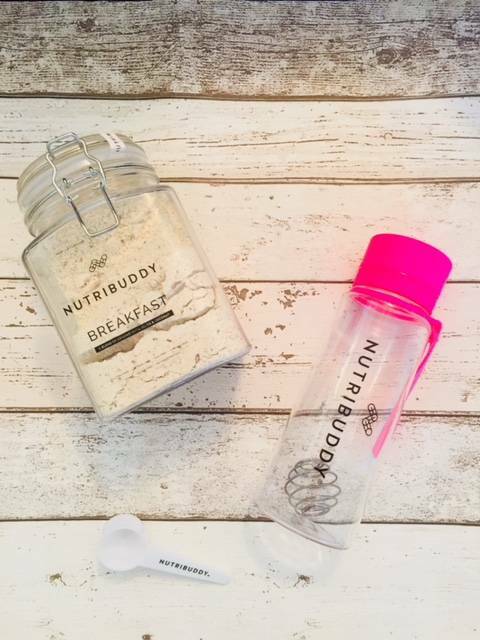 *I was sent the Nutribuddy Breakfast shake and a shaker of my choice for review purposes. All thoughts and words are my own. Contains affiliate links.